What do you get when you combine 343 universities and 17,000 colleges? You get the second-largest education system on the planet. Encompassing bachelor’s, master’s and doctoral degrees, the immensity of the Indian higher education system and its global network of students and faculty, directly translates to amplified diversity and improved opportunities for both academic and personal enhancement. India’s Prime Minister’s office in 2016 asked the country’s Human Resource Development Ministry to accelerate plans for setting up 10 new private universities aimed at offering students new options for research and innovation across disciplines, including information and technology, medicine, agriculture and biotechnology, according to a report from the Hindustan Times. Based on the pioneering models of leading US institutions like Princeton and Stanford, the proposed universities will be modern in infrastructure with the potential to further establish India as a leader in the arena of international education. 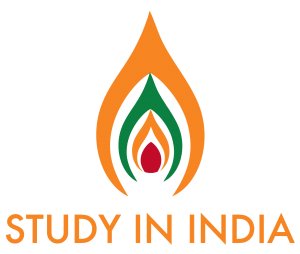 With the oncoming of a new wave in the world’s most populous democracy, it is very evident that studying in India can help you not only reach your academic goals, but surpass them. You can pin SI (DU) Symbiosis International (Deemed University) in your study map, as a centre of excellence that offers a safe, welcoming and incredible environment for international students. Based in Pune (the OXFORD of the East), Maharashtra, India, SI (DU) consists of 28 different academic institutions spread over 10 locations, including Bangalore and Hyderabad. Sounds intriguing? Let’s get to know why SI (DU) should be your final destination for ‘Studying in India’. With the constant progression in India’s higher education setting, SI (DU) has exclusively set up need-based institutes across the 7 faculties of Law, Management, Computer Studies, Health & Biological Sciences, Media, Communication & Design, Humanities & Social Sciences and Engineering. At present, the University is offering 91 academic programmes, which include 36 Post Graduate Degree programmes, 24 Under Graduate Degree programmes, 17 Post Graduate Diploma programmes, 13 Diploma programmes and 1 Doctoral programme (Doctor of Philosophy). To reward outstanding achievement and to help ensure that reservations about finance do not constrain prospective, academically-strong students from considering study at SI (DU), we offer a number of prestigious scholarships. If you have the talent and ability to succeed, concerns about funding should not stop you from applying to SI (DU). Our world-class teaching and research activities are delivered across seven faculties, within which there are a number of subject-specific academic units. Our eminent faculties of Law, Management, Computer Studies, Health & Biological Sciences, Media, Communications & Design, Humanities & Social Sciences, and Engineering, enable students to understand the complex forces that will determine the fate of the 21st century. Our faculties are at the forefront of new research, challenging conventional thinking, and producing novel and new pedagogy structures that evolve the methodology of learning. A residential program provides student support and programming in the residence halls to make your experience engaging, meaningful, and gratifying. At SI (DU), our residential Programs focus on providing educational coherence for residential-based programs and students. It is obligatory for a student enrolled in the residential program to stay in the campus hostel. However, most of the Symbiosis Institutes offers comfortable, secure and safe hostel facilities to the students admitted to non-residential programs. Arranging finances at the right time is not always feasible, which is why SI (DU) offers an affordable and flexible platform for education to all students. Whatever course you may choose to do, you will never find the hurdle of finance stalling your academic journey, as you can choose to pay your fees in 3 easy instalments. We can help you understand if you’re eligible for assistance and assist you in planning your budget while you’re studying at our campuses. SI (DU) is ranked 144 in BRICS Ranking and is at the 247th position in Asian University rankings. India has over 3,500 management schools and only a handful make it to any of the reputed international B-School rankings. We’re proud to be included in the QS World University rankings, the best-known ranking system for covering everything from research and employment outcomes to social responsibility and inclusiveness. Living in SI (DU) accommodation gives our international students security and their family back home peace of mind. What’s more, we offer accommodation to international students in a safe and welcoming environment. Living amongst our vibrant community is one of the best experiences you can possibly have as a student. Our accommodation is unique as it provides a balanced academic and social lifestyle among a supportive environment you can’t get anywhere else. Our residents come from all over the world, creating a vibrant community where lifelong friendships are formed. Being a ‘Symbian’, you will have one of the best times of your life because you’ll have so many opportunities to discover possibilities and fuel your potential. You can start carving for yourself a fabulous career, by undertaking internships, non-curricular and other challenges, which will help you awaken your adventurous side and broaden your outlook towards life. Whether you’re a highly skilled postgraduate or an ambitious international student, we look forward to welcoming you to SI (DU).